For several years, Breast Cancer has caused casualties all over the world. A painful and arduous event for the victims and their relatives. 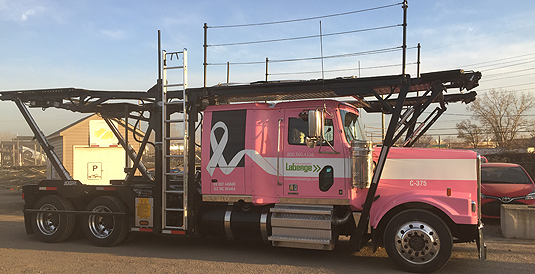 Over time, several members of the Transport Laberge team have been affected directly or indirectly by breast cancer. We are all powerless in the face of this disease and think that we can not do much to remedy it, but we are wrong! We can not cure people and replace doctors, but we can stand by them, support them, be there for them and encourage them to fight with all their might to overcome this scourge. 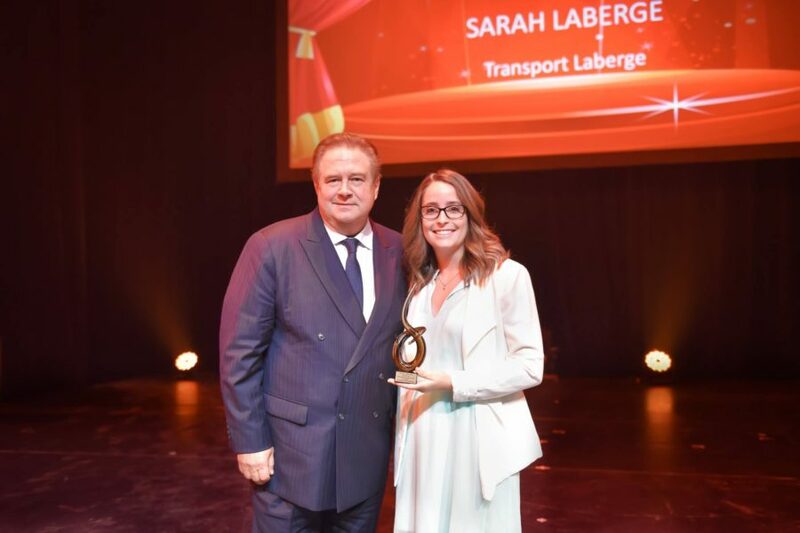 We at Transport Laberge, have the chance to have a president listening to his team and sensitive to the unfortunate events that affect them. An idea came to him; Why not a pink truck? A flash of colour that would testify of his support for this cause against a relentless disease.